The historical old town of São Luís is an enchanting neighbourhood of atmospheric cobbled streets and pastel-coloured colonial mansions. Some are handsomely restored, while others remain deep in tropical decay. Well over a thousand of these buildings are on the Unesco World Heritage List. 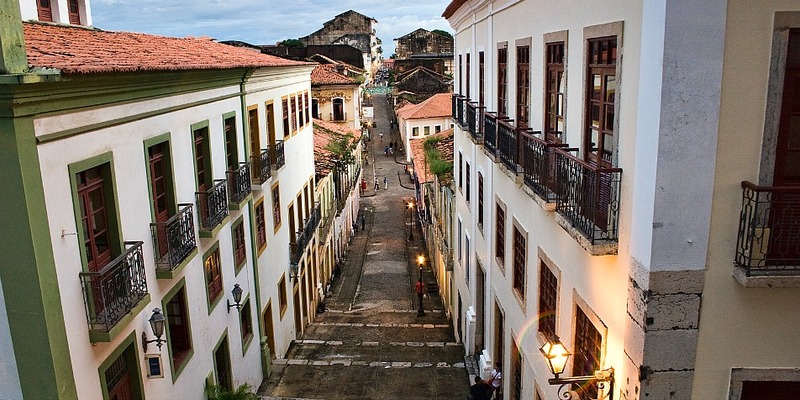 Imagine a colonial mix of Havana (Cuba), Salvador da Bahia and Olinda and you have the city centre of São Luís. It’s a charming area with a unique atmosphere. It also has one of the highest concentrations of museums, galleries and craft stores in the Northeast. But Maranhão’s capital is more than just this colonial heart. Not only is São Luís the reggae capital of Brasil, it also boasts a sultry nightlife, a lively beach scene and is home to the highly colourful and unusual Bumba Meu Boi festivities which take place in June and July. Whilst still somewhat off the beaten track for most travellers, the restoration of many of São Luís’ beautiful old buildings over recent years has seen an increase in both domestic and international tourism to the city. São Luís is the only city in Brasil that was founded by the French back in 1612. It has since changed into Dutch and eventually Portuguese hands. Well known for its Portuguese tiles, today its economy revolves mainly around its two major commercial exports, iron ore and aluminium. Tip: Spend around two days/nights ideally between Thursday to Saturday to experience the nightlife in São Luís’ streets.